Using the thinner of the 2 cork sheets (1.5mm? )I covered the top glueing it down bound the edges with one or two dabs near the centre. The track a mixture of reclaimed from layout 1 and new flexi lengths commenced by pinning and gluing the track as I went along. Quite long lengths needed laying before down as I was laying as the whim took me with only a vague plan in mind. Now gluing track down to cork soon showed up my error the cork 'floated' away from the board leaving humps and bumps. A smallish hole punch was used and pretty soon the cork was peppered with 3mm holes.glue (dilute PVA) was run into the holes and the filled with the cur out discs. All was now left to dry. 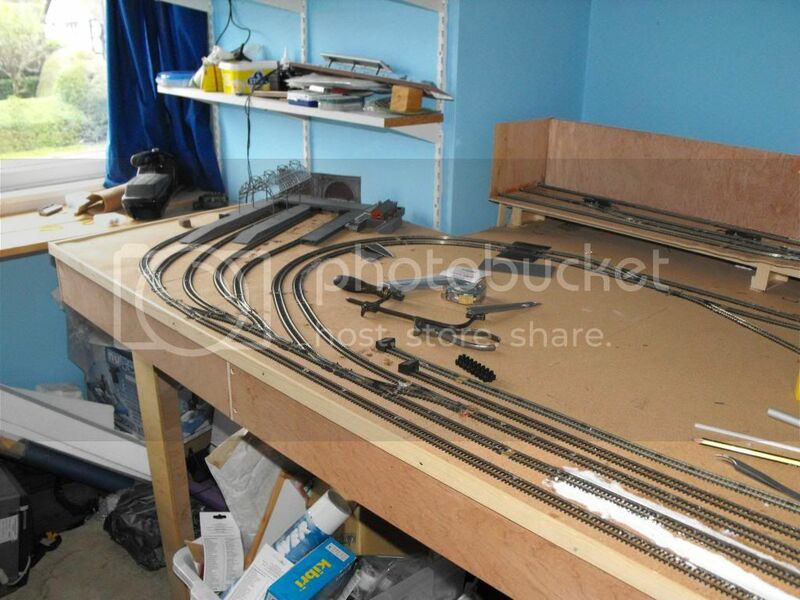 All the tracks now laid and 5mm holes driiled ready for seep point motors at some future date. Dropppers fitted and connected and a couple of locos run round the system with a DC connection to check thing out. Nice one John, when I started glueing cork onto my baseboard I soon learnt a generous supply of heavy books was a necessity. The poly bags loo rolls come in are good for this, I just leave the books weights inside until I'm done. The upper part at the back was the 1st bit built whilst the main board was on order. 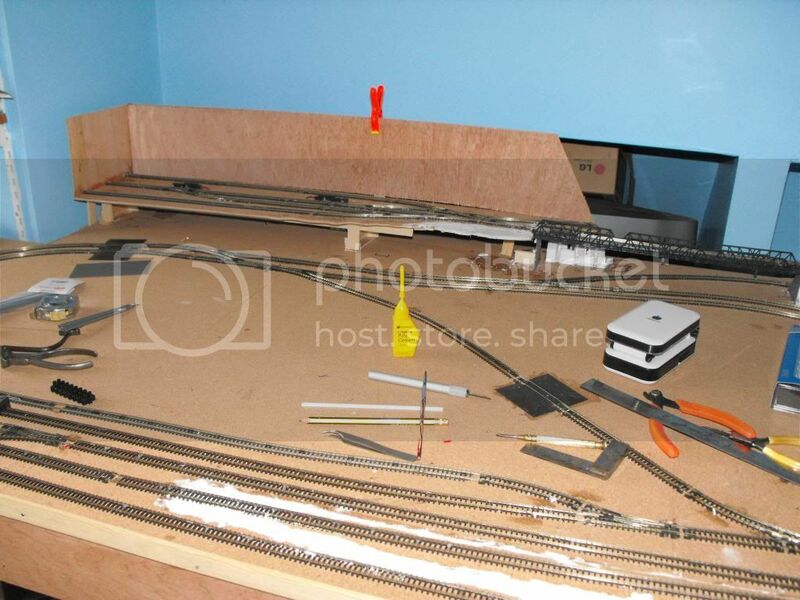 Its based on a layout in the Peco Setrack layout book. I will be backed by an industrial scene. The 3% incline to the upper station and meandering line including the reversing loop shown. Work delayed today because kitchen needed a ceramic tile back splash to the cooker to save the paint getting splattered so I was volunteered to do it this week. I thought I had finished but no it seems not because we still have a few spare tiles . (Strange its not needed a tiled backing for the last 39 years but now it needs one now !! This morning I finally got round to cleaning the tracks and running a loco (minitrix croc.) to find out where all the problems are. Being a DC loco I stood more chance of finding and correcting faults before connecting to DCC. With my old farish controller fitted I turned on the power, set the direction to forward and..............................nothing . 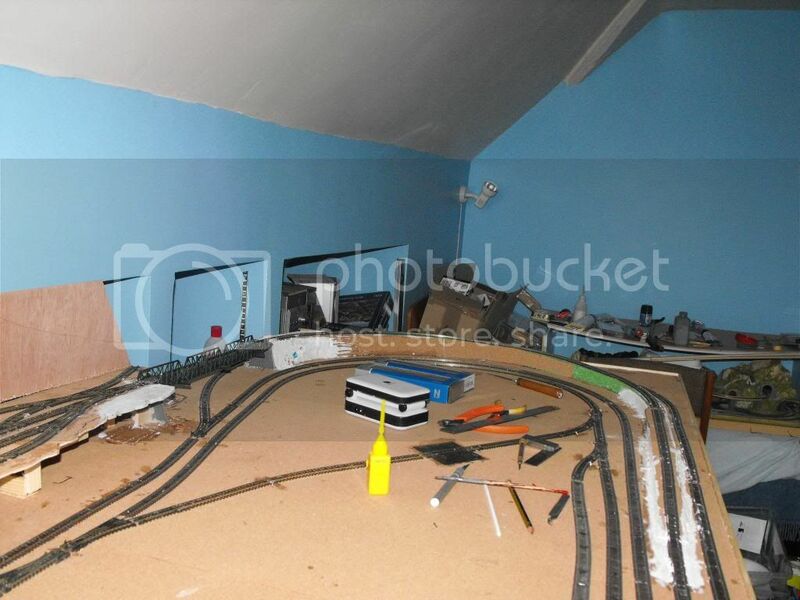 It was at this point that I happened to notice that only 1 of the 2 wires leading to the track bus was plugged in A touch of the old screwdrivering and power turned back on and I had a moving loco It only failed to run in two places and negotiated all the setrack points perfectly. One thing it wont do is operate round the reversing loop despite my following all the instructions of setting the module up ok.
I`m guessing its back to the manual and a spot of reading up for me tonight . Still I`m glad the whole thing isn't riddled with short circuits and that encourages me to get on with things. Also spotted that I needed an extra pair of points at the front to complete the overall outside loop. Oh dear what a week. I moved the breaks in the return loop to be away from the points which should sort things out only to find that I then had 2 stretches of 'dead track' so that's 2 more pairs of droppers need. Rather than lift a section of track in two circuits to install an extra link via two sets of points I very carefully cut the track back with a mini rotary grindstone. Then I had to sit back till the points arrived via post. 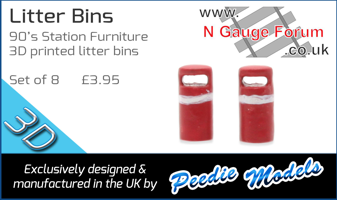 They turned up on Tuesday but my back wasn`t in a modelling mode it had decided to have a few 'off' days. Still with careful measuring and fiddling about I was able to trim the tracks back to a very nice snug fit. 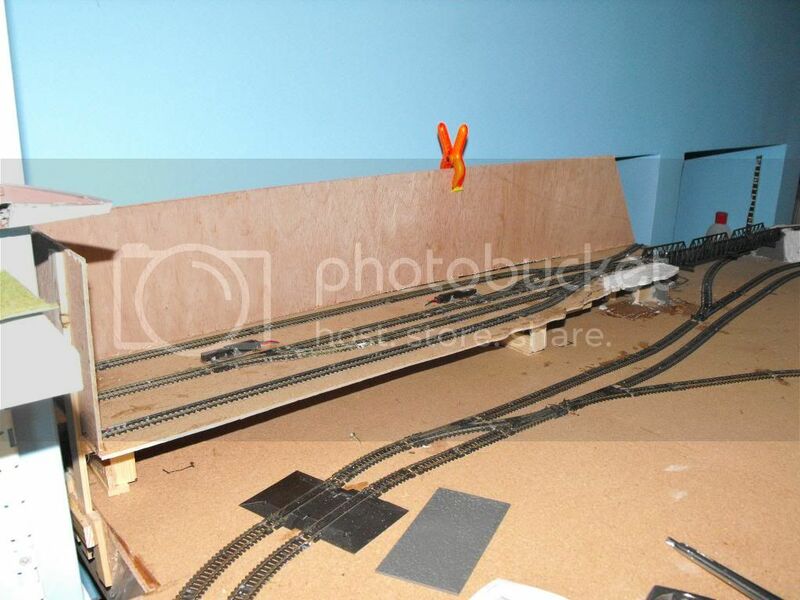 I eased connecting fish plates onto the existing old track and pushed it on 100% Next I layed the points in and slid the fishplates back onto the points giving 50% on track and points. Perfect (nearly) fit and nice and tight. Tuesday PM not only saw me with back problems but sons girlfriend had an op. on her back and we ended up baby sitting and are still lumbered everyday with the kids. I did that last week but missing a step down a kerb, went to a chiropractor after 2 days of agony, best 50 euro I've ever spent, sorted in one visit. 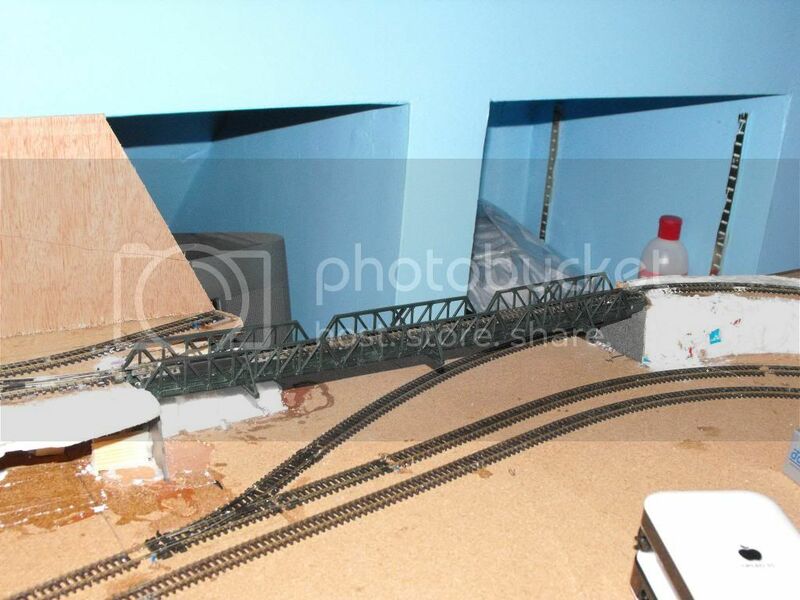 Very impressed with the way things are going John, especially like the girder bridge. Keep it coming!